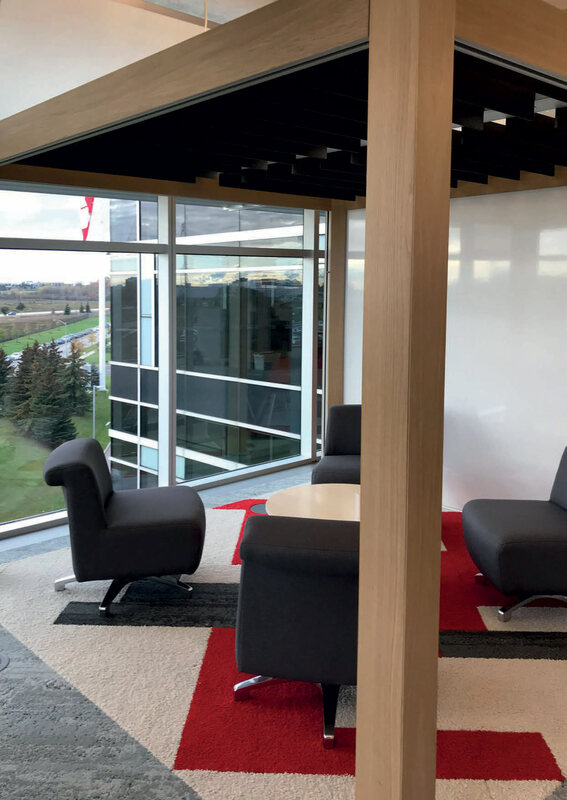 A Canadian based food retailer that encompasses 1,000+ corporate and franchise supermarkets, with more than 135,000 employees & operating under 22 regional and market segment banners, required flexible furniture to fit within their office spaces & desking. The furniture had to provide visual & some acoustic privacy for meetings within their busy office spaces. The market segments they cover include grocery and household items, clothing, baby products, pharmaceuticals, and financial services, to name but a few, displaying their stature as the largest retailer in Canada. The furniture needed to match these high businesses standards & their aims of continued growth within the industry. Rooms were specified by AFK Studios in London and procured through Staples Advantage in Toronto. Through single & double adjoining Rooms, new spaces were created away from the desk to allow employees to meet & discuss openly, whilst the central whiteboard walls allowed for & encouraged idea generation during these meetings. The open walls created a more comfortably & relaxing environment for the employees when using the space, whilst the wooden cladding exterior added an organic & warm feel to the corporate office.